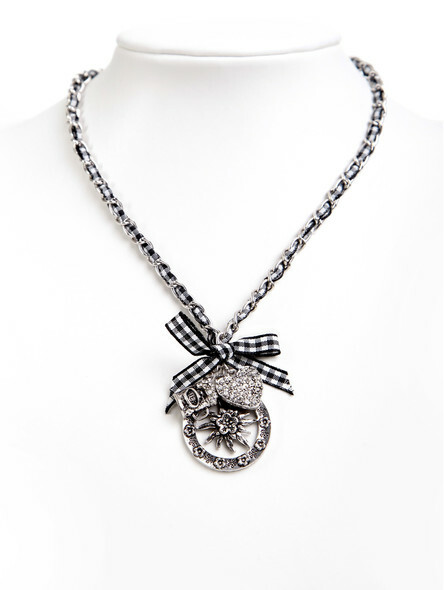 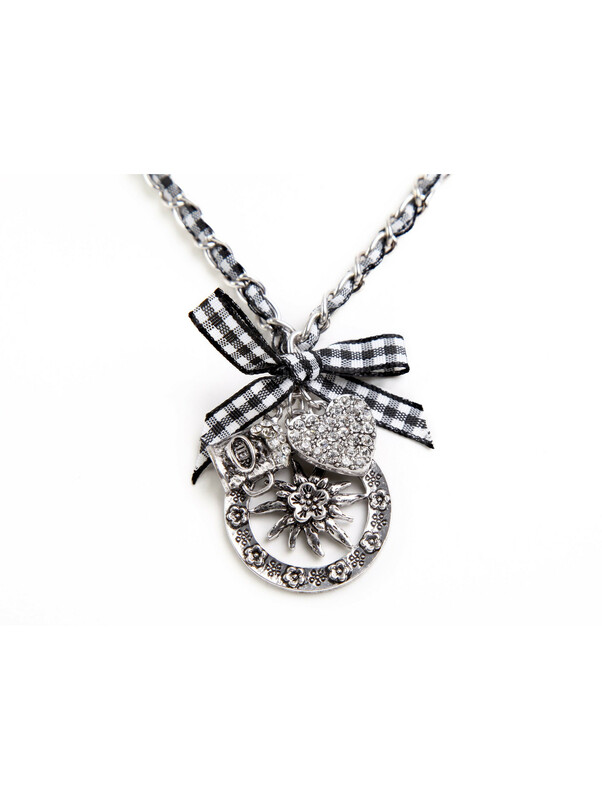 The hearty bavarian necklace consists of a silver link chain, which is crossed with a black and white checked ribbon. 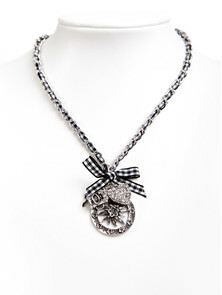 On the chain there are three pendants, a round one with Edelweiss in the middle, a small beer mug and a heart that is set with white crystals. 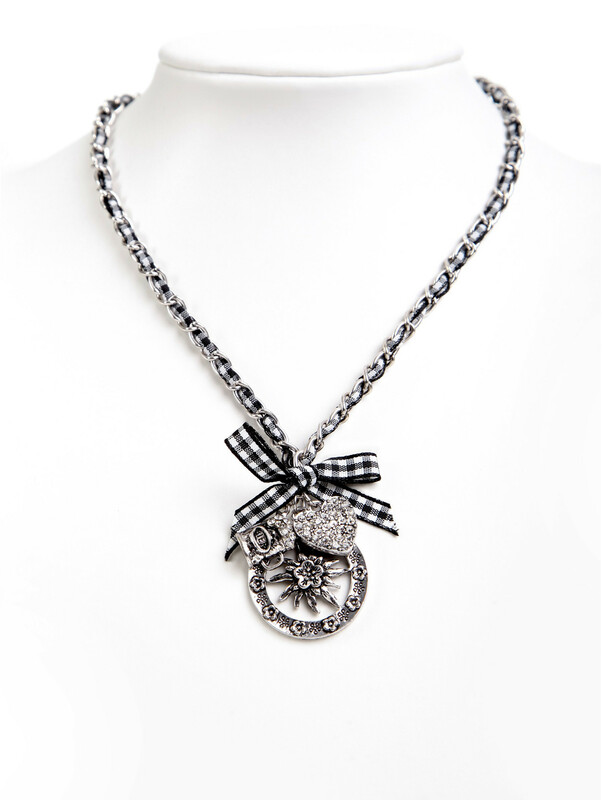 A sweet bow above the pendants completes the lovely picture.